In July 2013, Learning for a Sustainable Future, along with our partners at Natural Curiosity, hosted two “Using Inquiry Learning to Build Community” professional development institutes in Toronto. Educators from across Southern Ontario attended the 3-day workshops which engaged them in activities and transformative learning practices to help bring inquiry and community-based learning into their classrooms. Amanda Williams-Yeagers, a grade 3/4 teacher at John T. Tuck Public School was eager to start these practices with her students—and so she created an inquiry question for her students, which led them on an adventure through their curriculum and their community! We began by exploring the creek beside our school in a search for living things. We were able to see examples of animal habitats and erosion, as well as discuss the significance of the litter we had found in the creek. We visited the creek on two separate occasions and plan to return. 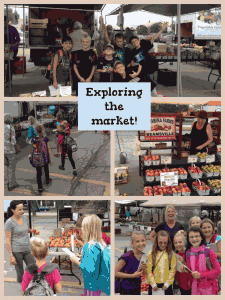 Next, we took the city bus to the local farmer’s market to explore the significance of local food sources. 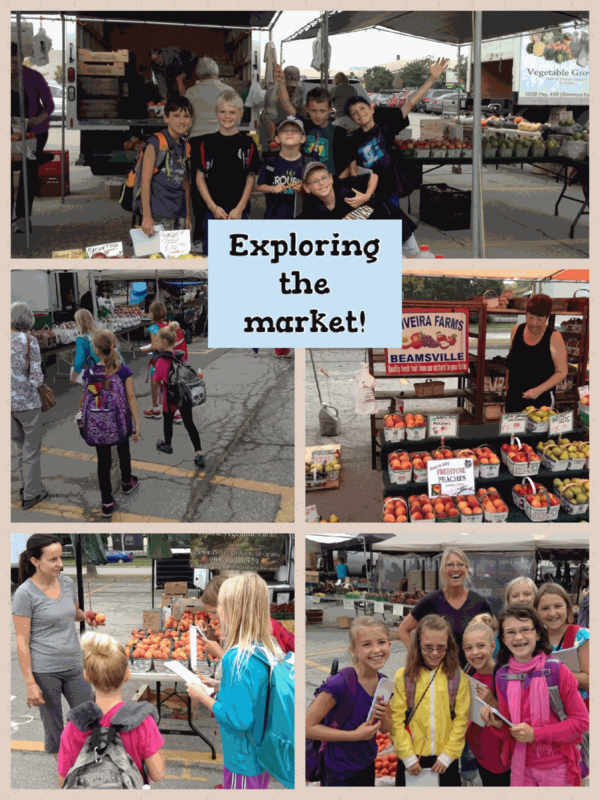 The students interviewed the farmers and customers at the market to explore agriculture in Ontario/Canada and to investigate the significance of buying local. 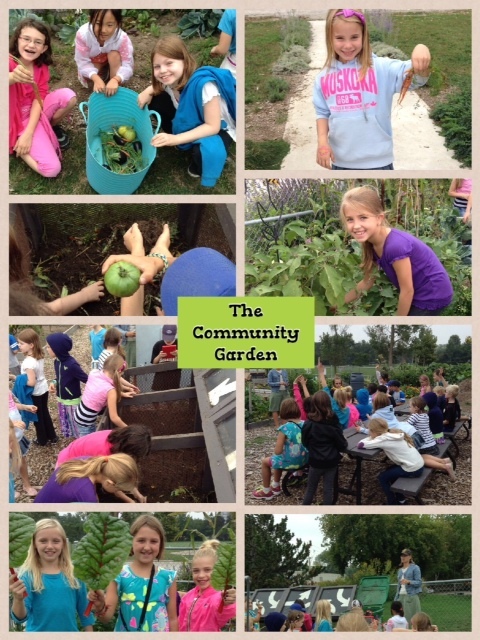 From the market, the students walked to the community garden and met with someone from “GoGreen Burlington,” who spoke to the students about urban agriculture, hydroponics and compost. 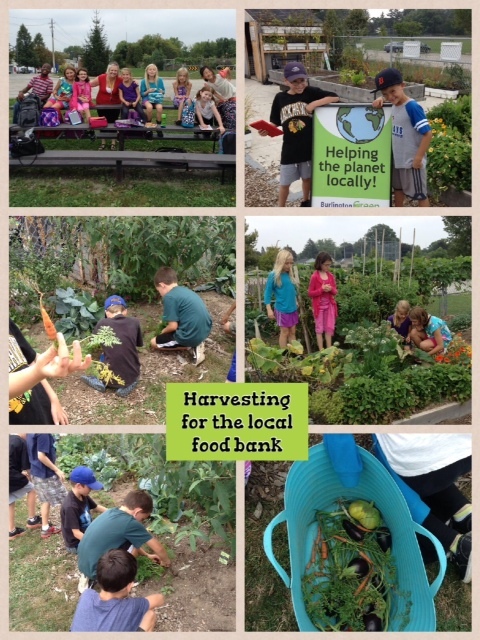 They then had the opportunity to harvest crops from the demonstration garden to be donated to the local food bank. Do you have an inquiry story to share? Email it to us at info@lsf-lst.ca. Thanks, Amanda! Your story is inspiring. It shows courage (jumping in a giving inquiry learning/community building/natural curiosity a try), creativity (combining the science and social studies of 2 grades! ), and excitement (I have goosebumps thinking of how excited your students must have been to have these meaningful experiences as they travelled through the city). I can only imagine the rich exploration and learning that took place for all.